https://d2wldr9tsuuj1b.cloudfront.net/16576/slideshows/homeFull/AB%20CMC.jpg 2019 Catholic Men&apos;s Conference opening Mass Archbishop Michael Byrnes celebrates Mass at the conference Saturday, Jan. 19 at the FDMS Boys Chapel. https://d2wldr9tsuuj1b.cloudfront.net/16576/slideshows/homeFull/20190122_170928.jpg Worship and prayer at 2019 Catholic Men's Conference Catholic men, including some fathers and sons attend opening Mass at the 15th CMC at the Boys Chapel, FDMS Jan. 19, 2019.
https://d2wldr9tsuuj1b.cloudfront.net/16576/slideshows/homeFull/20190128_135520.jpg Singing praise during Catholic Schools Week Mass Students from different Catholic schools comprise the choir during the 9:30 a.m. Sunday Mass Jan. 27 in Hagatna. https://d2wldr9tsuuj1b.cloudfront.net/16576/slideshows/homeFull/20190208_123105%201.jpg 2019 Guam Catholic Educators&apos; Conference Archdiocese of Agana educators attend the annual conference Feb. 1 at the Veritas Hall of Dominican Catholic School. https://d2wldr9tsuuj1b.cloudfront.net/16576/slideshows/homeFull/Ash%20Wed%20wide%20shot%20for%20website%20%201.jpg "Remember man that you are dust, and to dust you shall return' Guam Catholics attend Ash Wednesday Mass March 6, 2019 at the Dulce Nombre de Maria Cathedral-Basilica in Hagatna. https://d2wldr9tsuuj1b.cloudfront.net/16576/slideshows/homeFull/20190406_201310.jpg Rome announces guilty verdict upheld against Bishop Apuron Rome has upheld its guilty verdict against Bishop Apuron related to child sexual abuse. See announcements below. Downloads Downloadable content for parish/school/organization financial accountability and human resources. 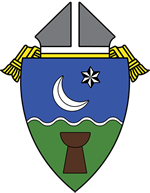 Access schedule of parish Masses of the Archdiocese of Agana here. VATICAN CITY (CNS) — A new year is a chance for a new start, a time to remember that all people are brothers and sisters and a time to nurture amazement that God became human to save all people, Pope Francis said. Read story here. KOLG 90.9 FM has resumed broadcasting after being knocked off the air due to damage to its tower by the recent typhoon. The radio station is broadcasting on low power temporarily but repairs are on-going. View the programming list of our archdiocesan radio station, the Light of the Marianas by clicking here. The Archdiocese of Agaña’s new Ministry to the Homeless Thrift Store is open Mondays to Fridays, 10 a.m. to 5 p.m., and Saturdays 9 a.m. to 5 p.m. Located at 231 Hesler Place, Suite 101, in Hagåtña across Julale Shopping Center. Click here for story. Visit the longtime Catholic agency&apos;s thrift store which is open 9 a.m.-4 p.m. at their site in Barrigada Hts. Phone: 635-1441.